By means of this video we would like to give you an idea of how are carbon fibre parts are developped as well as the production by using state-of-the-art techniques. Accelerated design process helps create Nike's most innovative football cleat to date. About Engadget: Engadget provides the web's best consumer electronics & gadgets coverage. Launched in 2004 by former Gizmodo editor and co-founder Peter Rojas, Engadget now covers the latest mobile devices, computers, TVs, laptops, personal electronics, hardware, tablets, and cameras. Engadget's video property is a part of the AOL On Network. 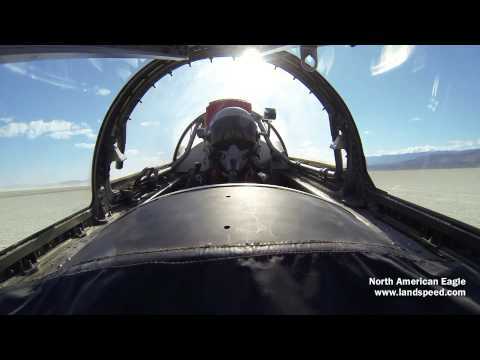 TV personality Jessi Combs sets a new women's land speed record, piloting the North American Eagle Supersonic Land Speed Challender vehicle to a 2-way average speed of nearly 394 mph on October 9, 2013 at the Alvord Desert dry lakebed in southeast Oregon.